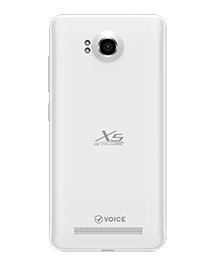 Voice Xtreme X5 - The Power of 8! Pakistan's 1st Octa-Core Smartphone, Voice Xtreme X5 sets the benchmark in the country by becoming the pioneer of Octa-Core Technology. The smart phone’s 1.7 GHzOcta-Core Turbo processor will keep you in the fast lane and ahead of others.Voices Xtreme X5 goes the distance with blazing fast performance and a sleek design that sets it ahead of its competitors. 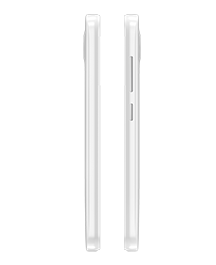 An amazing 5-inch full HD display gives you an unforgettable touchscreen experience. Xtreme X5's 2GB RAM ensures higher performance while guaranteeing you to remain online all the time. A faster web browsing and a smoother user interface is testimony for X5’s high-end technology, which is also supported with 3G technology. Enjoy asuperior gaming experience and a battery support of 2,000 mAh. A 13 mega pixel rear camera and a 5 megapixel front camera give you the liberty to focus on thesights and sceneries to capture and save them forever. 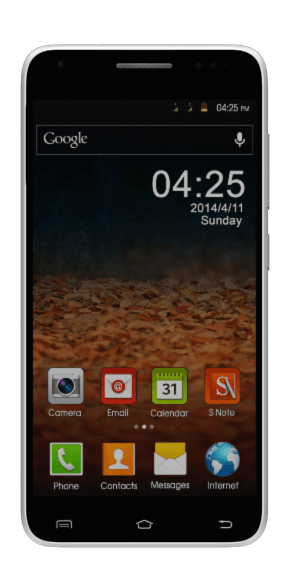 Special features of X5are its Full HD display, Smart Call Attend, Smart Message Call, Smart Mute, andSmart Swipe View. USB on-the-go feature gives a variety of connectivity options while the feature of Smart Music Change, Smart Capture, Smart Launcher View, and Smart Unlock are all incorporated in X5 to let you experience the Power of 8. Voice Xtreme X5 will add speed in your life as the handset’s 1.7 GHz Octa-Core Turbo processor will let you fly through your applications. The Power of 8 in Xtreme X5 will facilitate in faster Internet browsing, higher downloading speeds, and will give you an out-of-the-world experience while playing games and surfing through social networking websites. 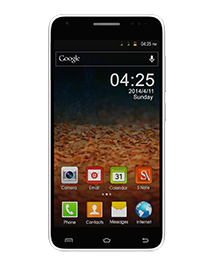 Xtreme X5, with its Octa-Core technology, is sure to increase efficiency in your professional and personal life. With X5 Octa Core’s rear camera having a 13 MP Auto Focus and an LED Flash, you can zoom in to focus on the beauty of the world. X5 gives you the freedom to view your high quality pictures and crystal clear videos on the handset’s 5-inch full HD display. Clear Motion Rate measures the capacity of an LCD to display fast moving objects smoothly. While there was only the refresh rate that decided the smoothness of images in a fast paced program, Voice CMR takes into account backlight technology and image processor speed in addition to the refresh rate to decide motion clarity. This motion clarity means that a viewer can clearly see the name of the player and his jersey number, even when he is moving at a high speed, during NFL matches.